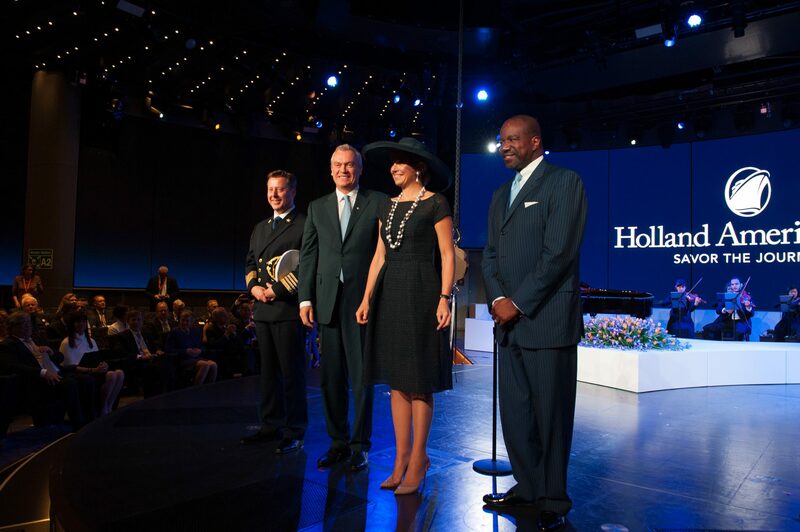 An unusual detour to Push The Buttons normal repertoire of work saw them approached by regular client, Holland America Line, to undertake the design, supply and delivery of the technical infrastructure for the ships naming ceremony. The ship was named by Queen Maxima of the Netherlands in Rotterdam on 20th May 2016. Push The Button carried out the construction of a large staging system which centred on the christening bell and a bed of 2000 beautiful white tulips. Push The Button also supplied staging to the World Stage Theatre to enable two events to take place simultaneously. The evening finished with the stage being re used for a fantastic celebratory party. Logistics on this project were particularly difficult, delivering and collecting equipment from two major Dutch cities. It gave the full time PTB installation team a welcome change from their normal works.